I think everyone should investigate not only their Arizona Realty One Realtors, but any real estate professional that you are deciding to work with or not. Staying with the theme of the website to provide you the tools to do whatever research you may want to do, here are links directly to the Arizona Department of Real Estate web site that provides public information about the status of my real estate license. You can check to be certain I don't have any open complaints, or disciplinary actions against my license. Bobbi Herman - You can check out the status of my real estate license. You'll be able to verify that I started with Coldwell Banker in November of 2004, moved to Re/Max in June of 2007, and as of November of 2009 I am now with the Realty One Group. You can also see that I have no open complaints with the Arizona Department of Real Estate, and no disciplinary actions against my license. Return to the top of this Arizona Realty One Realtors page. 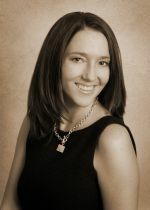 why to hire Bobbi Herman as your Arizona Realtor.